« Is it “just not true” that suffering is God’s will? Just yesterday, I was telling a friend about what I describe as my “re-conversion” experience—an evangelical re-conversion—that took place some time between my commissioning as a “probationary elder” in the United Methodist Church in 2007—when I was a theological liberal—and my ordination three years later. I say “evangelical” because I became convicted once again about the complete truthfulness of the Bible. Over time, I came to believe in the infallibility of scripture. Today, I don’t even mind identifying as an inerrantist, since I don’t believe that God’s Word, when rightly interpreted in its context, contains errors. 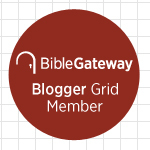 One thing is for sure: this re-conversion began around the time I started this blog in 2009. One of several formative events in my re-conversion was reading, in 2009, N.T. 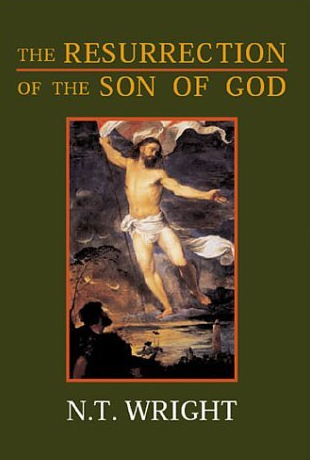 Wright’s dense academic work, The Resurrection of the Son of God, which loudly affirms, on historical, linguistic, and theological grounds, the bodily resurrection of Jesus. One question I asked myself at the time was this: If the Bible can be fully trusted in this most important matter, then why shouldn’t it be trusted in other matters? We’re playing religion, ladies and gentlemen, if we think that five minutes looking at scripture is going to get us through life when we’re spending hours and hours developing a professional career. I know there are times of pressure at different times in life, but I do believe we have to wake up and be serious. You cannot influence the world if you’re not inwardly convinced of the truth of these things. And the only offensive weapon we’ve got is the Word of God that we don’t know it; we can’t use it. And I think we really need, some of us, to be—and I mean this seriously—intellectually converted. Because we have scripture and it’s over here. Nice little stories: Daniel in the Lion’s Den. That’s not the real stuff of life. And so many Christians… have marginalized scripture and marginalized a daily relationship with God. I mean, can we be utterly blunt? Many people in this audience are probably involved in one kind of Christian work or another. And I start talking to them, and things aren’t too good, and I discover that husbands are not praying and reading with their wives—haven’t done it for years. And if there’s no reality of God in our family life, how can we expect to be attractive to the world? We can’t! This entry was posted on	July 11, 2015 at 11:48 am	and is filed under Uncategorized. Tags: John Lennox, N.T. Wright, Unbelievable? (and it hasn’t slowed down one bit!). Suddenly I couldn’t get enough of the word of God. I couldn’t read, or hear, too many commentaries. I started attending national and regional conferences offered to the public by some of today’s great teachers. R.C. Sproul, John MacArthur, John Piper, and others. The presentations ran for days, and the discussion periods were so rich and deep. And, there are more in their archives; J.I. Packer, James Montgomery Boice, Martin Lloyd Jones. You can even go back and listen to radio sermons by A. D. Tozer! Now that I can’t travel so well, I find that many conferences are offered as live streaming, often for free. One of the big truths of the Bible, for me, has been learning that people of great learning and intellect can disagree on some very major theological issues. They aren’t going to change each other’s minds, but they are still willing to participate in a full discussion of their differences. That has helped me greatly. If these giants can disagree firmly, but with civility, so then should I be able to do so. I love the links you provide in this blog. If two people, each in love with Jesus, each committed to the truthfulness and authority of scripture, disagree in good faith, then that’s fine with me. If, on the other hand, the presupposition of one of those people is that the Bible isn’t necessarily truthful, then that’s when I have a problem. Thanks for sharing! I find so much richness in the passion for both of those views. Somehow, they are both right. Tension. Such a perfect word. There is tension between Grace and Truth. Love and Suffering. Free Will and Sovereign Authority. If you don’t feel the tension, I’m not sure you are experiencing the sanctifying work of the Spirit.